You'll be £25.00 closer to your next £10.00 credit when you purchase Mau Mau Rebellion. What's this? 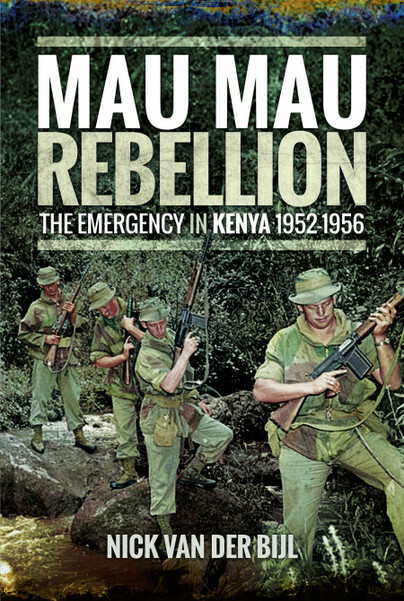 In The Mau Mau Rebellion, the author describes the background to and the course of a short but brutal late colonial campaign in Kenya. The Mau Mau, a violent and secretive Kikuyu society, aimed to restore the proud tribes pre-colonial superiority and rule. The 1940s saw initial targeting of Africans working for the colonial government and by 1952 the situation had deteriorated so badly that a State of Emergency was declared. The plan for mass arrests leaked and many leaders and supporters escaped to the bush where the gangs formed a military structure. Brutal attacks on both whites and loyal natives caused morale problems and local police and military were overwhelmed. Reinforcements were called in, and harsh measures including mass deportation, protected camps, fines, confiscation of property and extreme intelligence gathering employed were employed. War crimes were committed by both sides. As this well researched book demonstrates the campaign was ultimately successful militarily, politically the dye was cast and paradoxically colonial rule gave way to independence in 1956. ★★★★ Despite its five year duration the Kenya insurgency is one of the least written about post-WW2 conflicts. In this comprehensively researched book, author Nick van der Bijl sets out the causes and consequences of the rebellion. The story is told clearly and concisely and the drama is tense. This is modern history and is imparted extremely well. For those who don't know anything about this period, they will be shocked by what they read. The visual section consists of 38 black and white photographs of the time in which, if you look closely, they tell us more than what the naked eye might look like. An interesting book on a hot topic. Never before seen images have revealed the harsh and treacherous landscapes British soldiers had to endure during the Kenya Emergency as they sought to suppress the Mau Mau Rebellion.